Being a family owned business since 1954 as a screw machine shop, we have expanded our capabilities to include CNC Turning up to 7 axis, CNC Milling up to 4 axis all secondary operation and precision Laser Marking. Heather Screw Products, Co., Inc. prides itself on being different. With over 50 years of experience, Heather Screw Products, Co., Inc. is your one stop shop for all of your machining and toolmaking needs. 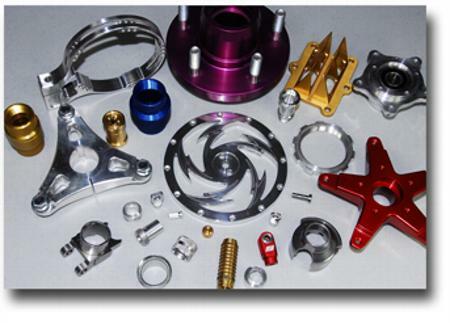 Heather Screw Products, Co., Inc. aspires to constant improvement through state of the art machining technology. Servicing the Aerospace, Defense, Commercial (Construction and Recreational) industries using steel, aluminum, stainless steel, brass, and aircraft alloys, Heather Screw Products, Co., Inc. is very versatile in assisting in all of your needs. Frequently doing business internationally, Heather Screw Products, Co., Inc. is proficient with metric standards and tolerancing. Being a smaller company with low overhead, Heather Screw Products, Co., Inc. can offer LOWER SHOP RATES and more PERSONAL SERVICE. Our 8000 sq. foot facility is climate controlled and houses Single Spindle Screw Machine, CNC Turning Centers, CNC Machining Centers, 7-Axis CNC Screw Machines, Computer Controlled Laser Marking, and Inspection Equipment. Inspection reports available upon request. We have worked on several projects where we have developed new patented products. Some of which began as sketches and we then finished designing, prototyping, and working with our customers through lab analysis and production. It is our goal to develop long term relationships with our customer's who value our emphasis on quality, innovation, and customer service. We are looking forward to meeting your challenges and becoming your preferred source for machined or tool making needs. RUSH ORDERS CAN BE ACCOMMODATED!!! Please contact us TODAY for a free quote!!! Heather Screw Products is an exceptional shop to work with. From napkin sketches to blueprints they execute on what needs to happen to have a successful production run. Steve is unbelievable talented and experienced. When I have questions I call him for answers! Heather Screw Products always goes above and beyond what other job shops offer.